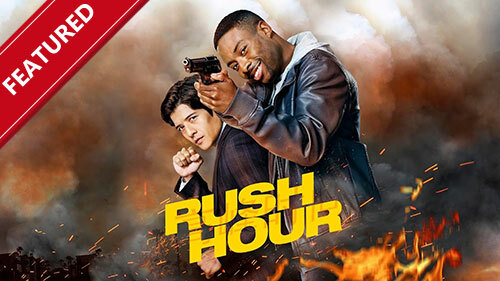 A reimagining of the feature film franchise, Rush Hour is a buddy-cop drama about a maverick LAPD detective and a by-the-book detective from Hong Kong who knock heads when they are forced to partner together. Detective Lee is a reserved, honorable master martial artist with lightning-fast moves who comes to L.A. to avenge his sister's alleged death and learn more about her connection to a Chinese organised crime ring. Detective Carter, on the other hand, is a wisecracking cop who plays by his own rules and has never wanted a partner. But even as cultures clash and tempers flare, Carter and Lee can't deny they make a formidable team, and grudgingly admit that sometimes an unlikely pairing makes for a great partnership. The first season ended with the Mutant HQ Atlanta Station under attack and ultimately destroyed. With things coming to a breaking point, two mutant factions formed, alliances shifted and relationships were put to the test. Season 2 picks up six months later, with the Mutant Underground at their new HQ in Washington D.C., stuck in the middle of an increasingly polarised nation, as both anti-mutant sentiment and the mutant rights movement are on the rise. The X-Men believed that mutants and humans could live together in peace – now that dream hangs in the balance. Property Brothers Drew and Jonathan Scott help couples find, buy, and transform extreme fixer-uppers into incredible dream homes. First, real estate specialist Drew tracks down hidden gems with untapped potential, and then it's up to identical twin brother and contractor Jonathan to expertly overhaul these ramshackle properties. In the Season 5 premiere: it's been a year since Diana and John sold their downtown condo to buy a spacious suburban home, but they're still living with the in-laws and are desperate for a house of their own. This three-part series follows Botswana's most iconic and charismatic creatures as they look to mate and bring up a family in a world full of dangers. All life is shaped by one powerful driving force: the need to breed. Every animal on the African plains is a player in the mating game, and this series captures the battle of the sexes. 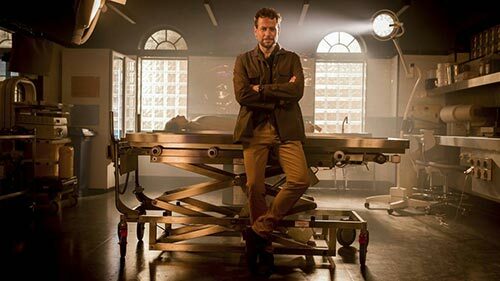 Ioan Gruffudd stars as unorthodox, brilliant forensic pathologist Dr Daniel Harrow - who has a total disregard for authority - in this 10-part Australian crime drama. Harrow has an unfailing empathy for the dead which helps him solve even the most bizarre of cases. Willing to bend every rule, he is determined to give victims a voice and reveal the truth behind what happened to them. Meanwhile, when a dark secret from this past threatens to be exposed, Harrow must use all his forensic skills to keep it buried forever. Even in the most remote areas of Alaska animals need treatment by a veterinarian. This documentary series follows veterinarian Dee Thornell as she treats everything from sled dogs to reindeer. Making house calls is so important that she even obtained a pilot's license so she could reach patients in areas only accessible by plane, snowmobile or sled dogs. Dr. Dee and her staff handle extreme cases and unique clients to the Alaskan frontier. Whether it's a man with a pet bear or a family with pet reindeer, no client is off limits at Dr. Dee's Animal House. In the first ever Forged in Fire Tournament, four different classes of metal - smithing professionals, farriers, armorers, blacksmiths and modern metal workers - will compete over five weeks for the chance to win the biggest Forged in Fire prize ever: $50,000. In this first week, four farriers are tasked with creating a San Mai blade from familiar tools: horseshoes and hoof rasps. After a strenuous round of testing, the remaining two farriers return to their home forges to create a famed weapon of the English Civil War: the Mortuary Sword. The winner will return in the final Tournament of Champions for a chance to prevail over the other metalsmithing classes and win the $50,000 grand prize. Adventurer and avid explorer, Josh Gates, investigates the truth behind the world's most iconic and captivating legends in this globe-trotting series. Josh's adventures take him around the world as he immerses himself in the core locations linked to each mystery. Interviewing key eyewitnesses and uncovering recent developments in the story, Josh embarks on a fully immersive exploration to lead him closer to the truth behind these unanswered global enigmas. From travelling the US to explore the mystery of the 1980s cult phenomenon, The Secret, to heading to England to examine the origins of Stonehenge, every historical mystery is an adventure for Josh. 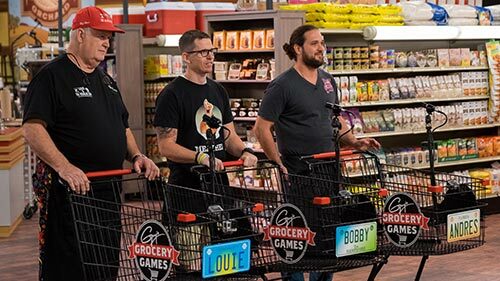 The GGG games return, and this time it's up to former Diners, Drive-Ins and Dives champion chefs to compete in Flavortown as the new season launches with a Triple-D Tournament. Which chef can conquer the unique set of culinary challenges set for them by host Guy Fieri? Then, after five exciting rounds of DDD face-offs, the challenges turn sweet with a chocolate competition, before Guy tightens the purse strings for a budget bonanza that sees chefs struggling to create winning breakfasts, lunches and dinners for four on a budget of only $60. With the triple G crown – and a $20,000 prize – on the line, who will emerge a winner? Also, Team Scorpion sings "Everything Is Absolutely Genius" in a musical interlude. Six-part series that takes you behind the public image of America's 'First Family,' revealing how personal relationships within the Kennedy dynasty helped shape national and global events from the Cuban Missile Crisis to the struggle for civil rights legislation. The docuseries spans the lives of Joseph and Rose Kennedy and their children, uncovering how and why this one family so significantly impacted 20th century America. The premiere episode, "The Power of Wealth," explores patriarch Joseph "Joe" Kennedy's desire to become President, and how his political ambition passes first to his son Joe Jr. and then to reluctant second son, John F. Kennedy.